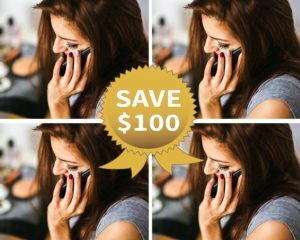 SAVE MONEY WITH A MULTIPLE SESSION PACKAGE. SPACE SESSIONS AT YOUR OWN PACE. Change is a process. I offer coaching packages to give you a discount if you’re committed to becoming the best version of yourself and changing your relationship status. Multiple sessions allow me to get to know you better and assign actions for you to take as you grow. In-between support via text and e-mail is included with all packages. Sessions can be used as you feel fits you best. If you’re going through a tough time and need additional support you may want several sessions a week. Or you can spread them out to schedule as things come up. Need two hours? Only want 30 minutes? No problem, I’ll keep a spreadsheet of the time we use and let you know when you’re near the end of your hours.